Ever since becoming debt-free (except the house) I’ve realized how much lighter I feel. Not borrowing money anymore has been such a blessing to my family that there isn’t anything on earth that I want bad enough to ever go into debt again. I’ve heard all the arguments that debt is a tool and blah blah blah. They can definitely be convincing. What people don’t tell you is that there are trade-offs. Trade-offs that not only hurt you financially but can hurt you emotionally and affect your relationships as well. 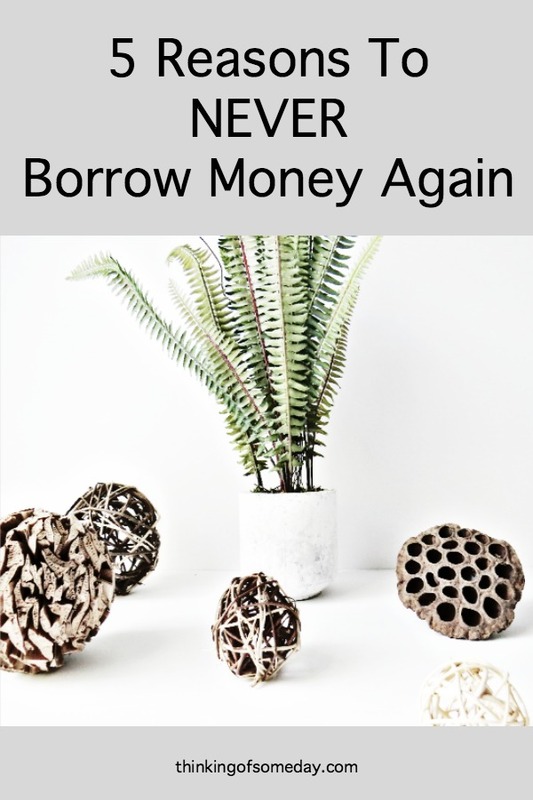 So today I decided to share some of those trade-offs with you and why I decided to draw that line in the sand and never borrow money again. Take a second and think about what life would look like without those payments including the house payment. Could you change careers from something you hate to something you love or even start a business on the side? Could your significant other stay at home to raise the kids? How many vacations could you take out of the country per year? Getting rid of debt creates a gap between your income and expenses. This gap means you don’t need as much money to cover your needs. That gives you more freedom to do whatever you want. This one kind of goes hand in hand with the previous topic and a recent post that we shared. What if you had to live on 60% of your current income for the year in order to double it after that year? Could you afford to do so? I was counseling a close friend who was considering a job change. He got a job offer that would raise his income by 20%. He seriously thought about turning the job offer down because there was a difference in the pay schedule and he would be paid a week later than usual. Yes, you just read that. The fear of missing those payments can drive you to miss out on better opportunities in the long term. One of the great financial lessons I learned in 2008 along with a host of other people is that debt payments are due no matter what. Banks don’t care if you lost your job, or if your hours were cut, or if your kid is sick and you need to spend time at the hospital instead of working. The only thing that matters is that you contractually agreed to make that payment. If that payment isn’t made there will be consequences. $h!t happens. It’s a universal truth. It seems like when people borrow money they only consider the upside. They never really consider what would happen if things go terribly wrong. The good thing about saving up for things as opposed to borrowing is that if things don’t go as planned then the worst case is that you’ll have a big stash of cash. You can’t control the entire economy. Your job may not be as secure as you think. I’m not trying to fear monger here. I just want you to consider what would happen if things go south. Would you be able to make it with ease or would you be heading to financial ruin? When you buy things, specifically cars and homes, using debt you don’t truly own it. You’re a glorified renter. If you miss that car payment you’ll find out who the true owner of that car is. The same goes for the house. Start missing those mortgage payments and eventually the mortgage company will take their house back. When you have the title to that car nobody can bring a tow truck and legally take it and the same goes for your house. So there it is. Those are my reasons for never borrowing money again. It’s really simple: if I can’t buy it with my own money then I can’t buy it. No interest rates, no loan terms, no payment schedules, no strings attached, no banks to worry about. It’s an awesome way to live! 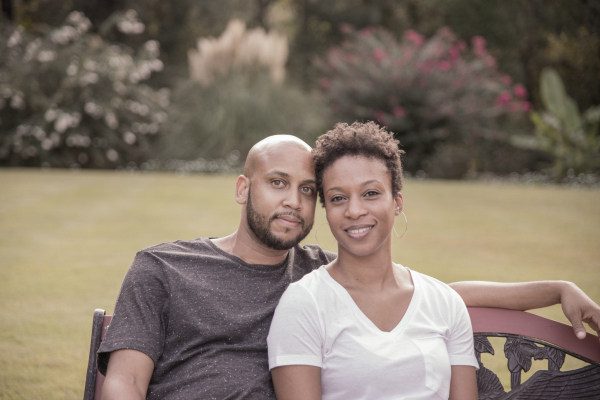 Since Omar and I are blogging together it’s often understood that we share a lot of the same views, especially in regards to personal finance. I’m all about not borrowing money for things that you can cash flow, even if it takes you awhile to save up for it. But I have to admit, this particular topic of not ever borrowing money again is harder for me than it is for him. <obviously so since I didn’t write a post about it. lol> I like the idea of not ever borrowing money if I don’t absolutely have to. After all, we did save up the money when it was time to buy a bigger car. However, I struggle with the idea of not borrowing money again if we were to ever want to move and get a new house. As we all know, houses are expenses and no one is going to pay for something that they don’t like or could at least fix it up to their liking. Yes, we would get money if we sell our current home, but I highly doubt that it would be enough to fully cover the cost of a new home given the prices of homes today. When Omar says that he will never borrow money again he’s talking about borrowing money for a house as well. We’ve had the conversation about it on more than one occasion. He can’t believe that I don’t think we can do it. It’s not that I don’t think we could save the money to pay cash. For me, it’s a matter of how long it would take us to save that amount of money. Regardless, I’m always up for a challenge. So if the day ever comes, I’ll agree to try not to borrow money to buy a new home. However, the one thing we’ve learned about marriage is that it’s all about compromise. It’ll definitely be interesting to see how it plays out if the situation ever arises. What are your thoughts on borrowing money? Are there upsides to borrowing? Are there downsides to borrowing? Could you live the rest of your life without borrowing money? Why or why not? Not using credit cards to get what you want NOW can be hard, but it’s nice to not get a credit card bill later and realize that you might not have enough money to pay it off in full. Thus, having to pay interest on it. At least that’s what keeps me from using them! Hey Neda! The first thing that came to my mind is that there isn’t anything wrong with gratification. It’s the ‘instant’ part that usually gets me into trouble. LoL. Making this decision about debt has caused me to become more intentional about making sure my purchases actually add some kind of happiness to my life over time instead of getting the high of buying something new and regret it a few days later if not instantly. It’s still a struggle but I’m way better at it now. Wow! Thanks Kim and Omar! Months later and I’m just reading the reply. I will try to keep up. Thanks ! You all a still a favorite family to me! So proud to see you all doing so great! Miss you Kim—-catch up soon. Lol. That’s ok. I always wonder how often people come back to read our responses anyways. Haha. But thank you! We’re trying our best in all aspects. And we def need to catch up!